Candlelight is ranked as one of the most romantic elements that a couple looks for in a restaurant on Valentine’s Day – or any date night. 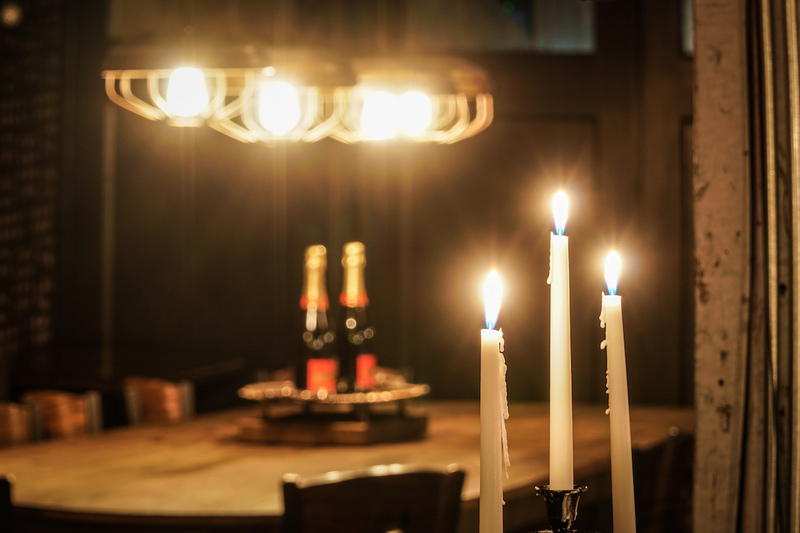 The warm glow of a single flickering candle can be the perfect sensual mood maker — a candelabra, even better. And often complementing that flattering candlelight are winking stars from above or a flame from beneath an aromatic fondue pot. Whether it’s your first date or your 50th, these restaurants with candlelight know how to set the table for romance. Not near one of these spots? Find a restaurant near you on OpenTable. No one holds a flame to the setting — the highest point in Vancouver, in royal Queen Elizabeth Park, with views of the city and the Pacific Ocean. A three-course menu is sweet on oysters with raspberry mignonette, duck confit, filet mignon, lobster ravioli, and a chocolate trio (chocolate mousse cake with raspberry coulis, chocolate gelato, chocolate hazelnut cigarillo). Available through February 16th — perfect for wanderlust lovers. 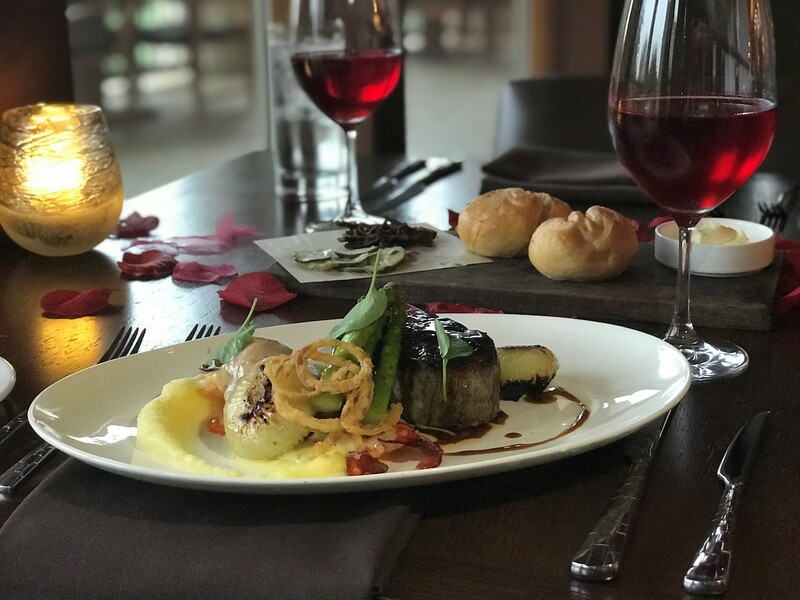 Make a reservation at Seasons in the Park. A flickering table candle plays along with the three-course VD dinner cleverly tiered as “The First Date” (petite gem lettuces, strawberry dressing, Texas yogurt, granola, and balsamic vinegar), “Totally Exclusive” (lobster ravioli, seared filet of beef, pan-roasted halibut, or cauliflower risotto), and “Marry Me” (chocolate strawberry cake, coffee, and caramel custard or passion fruit mousse). Make a reservation at TRACE. 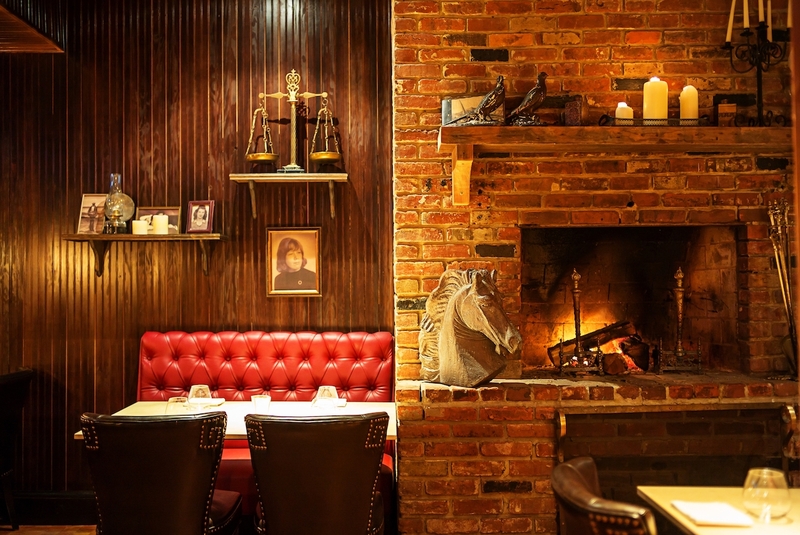 This classic American steakhouse with 3,000 bottle wine vault is a looker. Tables have that candle, yes, for glow and shine, and there’s a special VD dessert for clandestine lovers that lies “off-menu” –a tree (yes, tree) adorned with warm, housemade beignets and served with a warm Nutella sauce and vanilla crème anglaise. Branch out, let the love grow. Make a reservation at Steak 48. A French rendezvous spot that spends thousands of dollars a year on candles — think candelabras dripping with wax. Bleu Bohème’s Valentine’s Day menu marries traditional French cuisine with southern California influences including crêpe de homard (Maine lobster crepe with mascarpone cheese, asparagus, and white truffle-carrot emulsion sauce) and pain d’epice, warm gingerbread with strawberry confiture, and caramel ice cream. 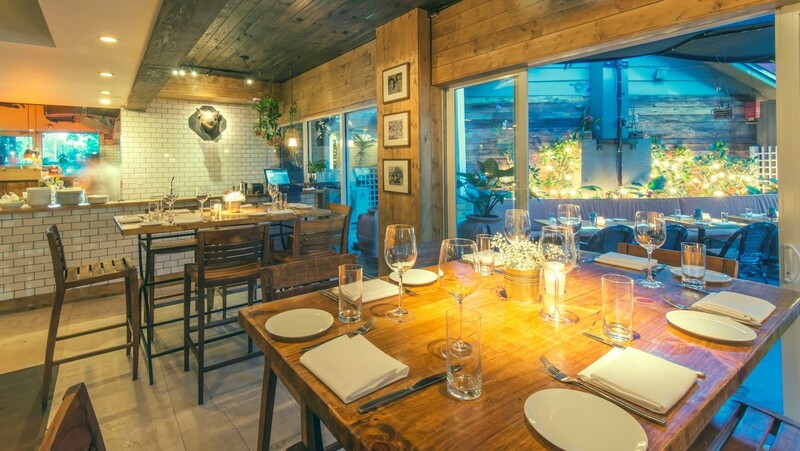 Make a reservation at Bleu Bohème. A romantic four-course northern Italian dinner is served on Notte di San Valentino with dishes like scallops in basil pesto puree and black olives, homemade rigatoni with veal ragu, grilled branzino served with snow peas and green beans, and, to seal the meal with a kiss (on both cheeks), a decadent Italian chocolate soufflé. 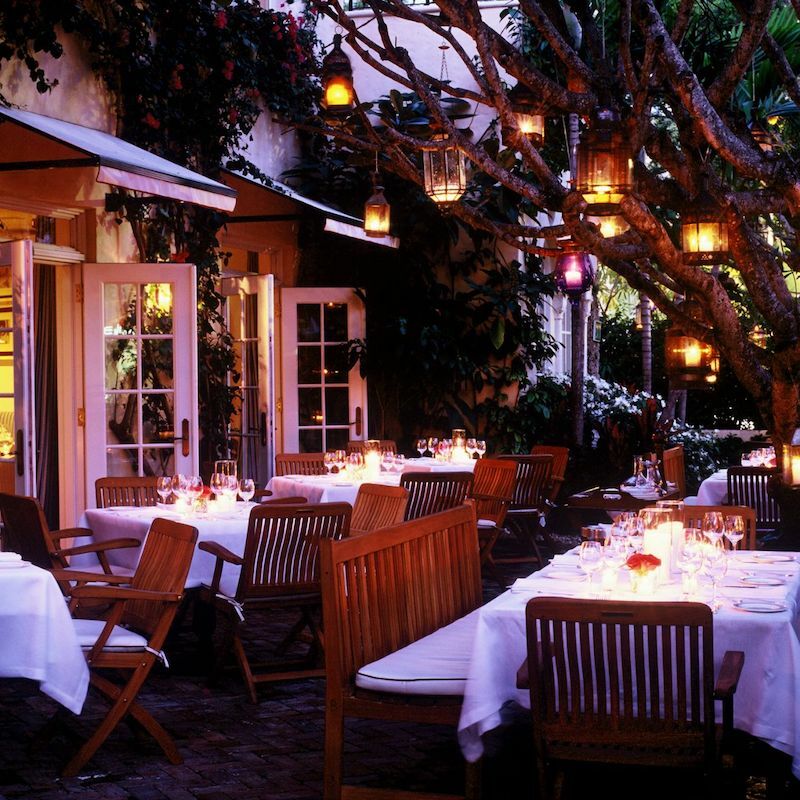 Sit at a table in the garden beneath trees dripping with romantic lanterns and candlelight or in the Mediterranean villa — which also features candlelight. 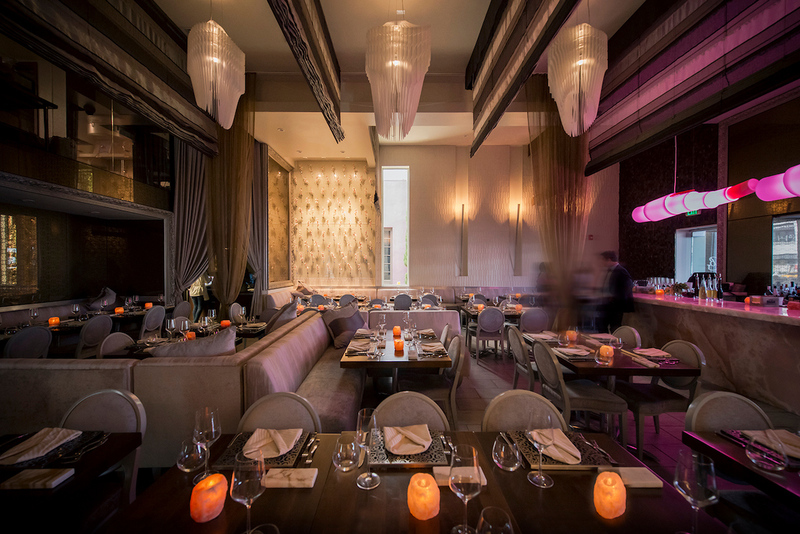 Make a reservation at Casa Tua. 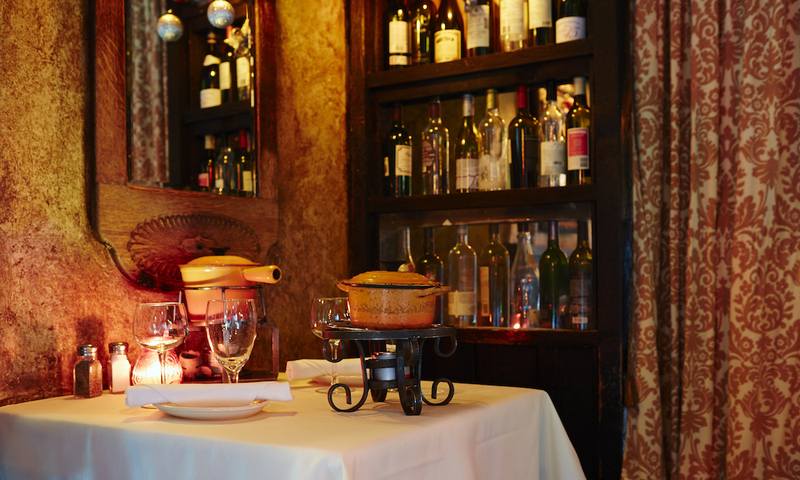 Expect an unforgettable Italian meal for city sweethearts in one of Manhattan’s romantic landmark buildings with candles and love in the air. Chef Vito’s oven-roasted Mediterranean branzino with olive oil and lemon for two is on the menu. End the artistic feast with a brushstroke of Sweet Love, a dark chocolate mousse filled with passion fruit sauce and served with strawberry sorbet. 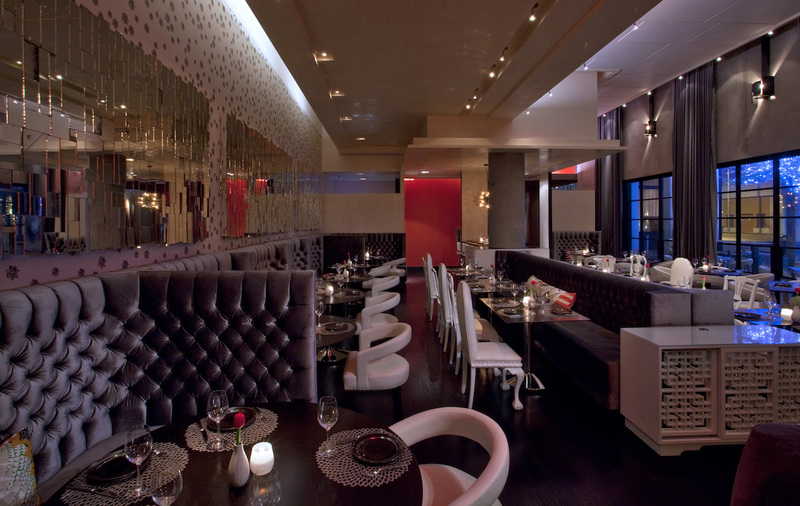 Make a reservation at The Leopard at des Artistes. 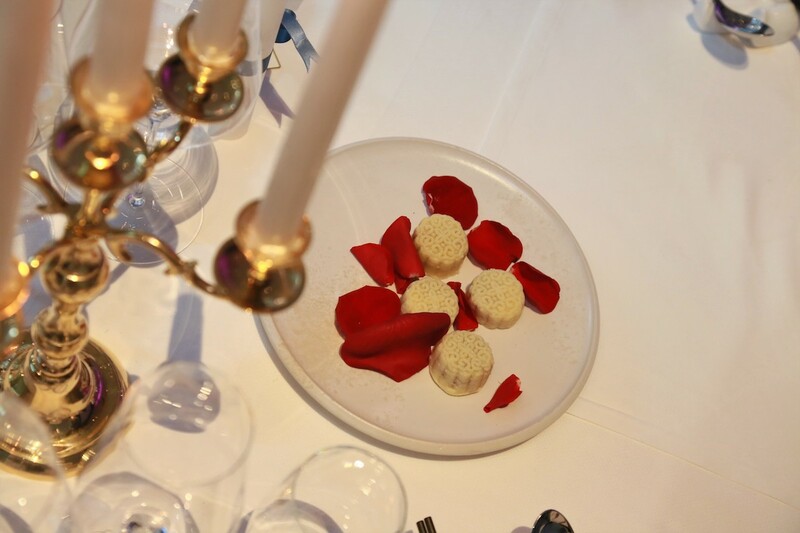 A glam spot to pop the question, even for Hollywood stars, a menu of aphrodisiac creations will be presented on Valentine’s Day with candles setting the mood for the ‘Yes’. The menu features ingredients to stimulate desire such as seafood, apples, saffron, chili, banana, pomegranate, vanilla, and watermelon. Don’t miss chef Helene’s classic banana a la mode with turbinado brûlée, Baileys, caramel and Tahitian bean ice cream. An a la carte menu will also be available. Make a reservation at Crustacean. Candelabras grace the tables, and a playful and unique menu for the 14th features dishes like mushroom “cappuccino” soup with beet foam, beet chips, bulls blood micros, chives, and lemon; the Hearts of Everything salad with hearts of romaine, hearts of palm, marinated artichoke hearts, hearts on fire micros, and herb vinaigrette. Watch out for the dessert — it’s called Loser Picks Up the Tab (a peanut butter and pecan tic-tac-toe bar with sugar cookie X’s and O’s). Make a reservation at Jovanina’s Broken Italian. Love potion cocktails are paired with natural aphrodisiac bites to be sipped and nibbled in the glow of candlelight and dim lighting, flattering for an evening of romance with Jean-Georges’ romantic menu. Begin with an amuse bouche — tuna tartare with caviar and brioche. Pucker up for the big finish that is the passion fruit sunflower dessert with orange blossom diplomat cream and meringue kisses. 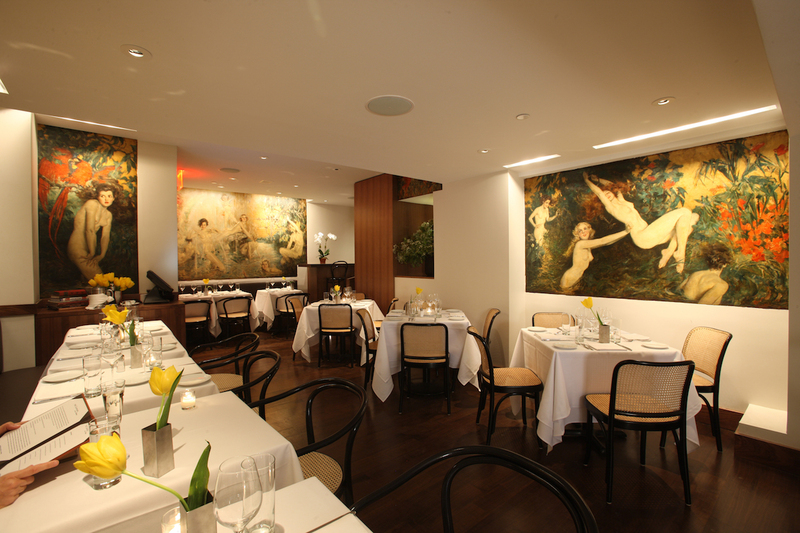 Make a reservation at The Mark by Jean-Georges. 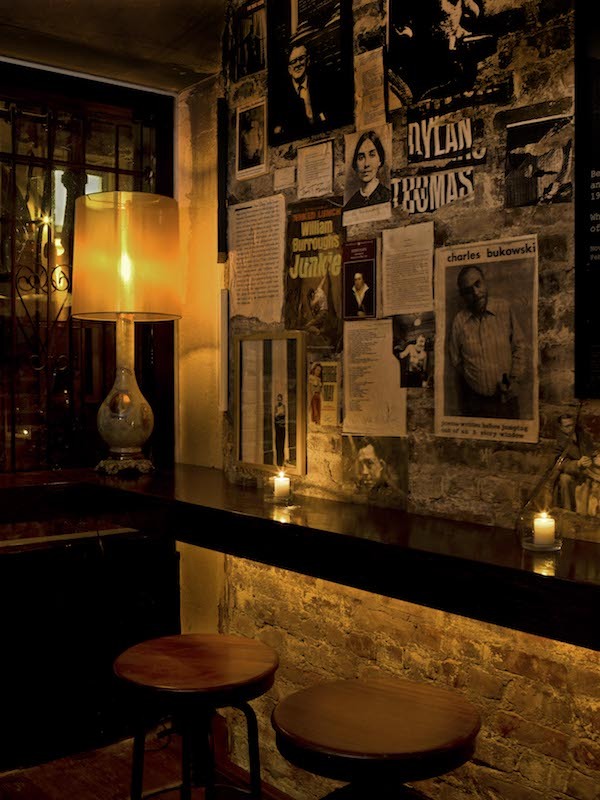 Cuba is a seductive spot and this Old World restaurant transports you there with candlelight, an eclectic bar, and intimate sultry outdoor patio. And then there’s that stone-walled underground wine cellar for private dining if you desire. The four-course tasting menu features dishes like short rib croquetas, a smoked pork chop, and famed the famed candy cap mushroom flan. You’ll receive a complimentary glass of bubbles, too. Make a reservation at Ariete. Michelin-starred chef Gregory Pugin pulls out all the stops with his reimagined French classics — Paris without a passport. And an antique liquid candle at each table will stoke the romance. The tasting menu features golden oscietra caviar, butter-poached Maine lobster, seared black cod, black truffle tart, Japanese Kobe beef tenderloin A5, and, the piece de resistance, a dark chocolate and cotton candy dessert. Make a reservation at Palme d’Or. The upscale Chinese dining spot in Bryant Park will glow on the 14th, thanks to candles and two tasting menus: think squid ink soup with tofu threads and black truffle and DaDong “Su Bu Ni” roast duck. The Valentine’s Day premier tasting menu will also feature dishes like cherry foie gras and whole Maine lobster with XO rice. 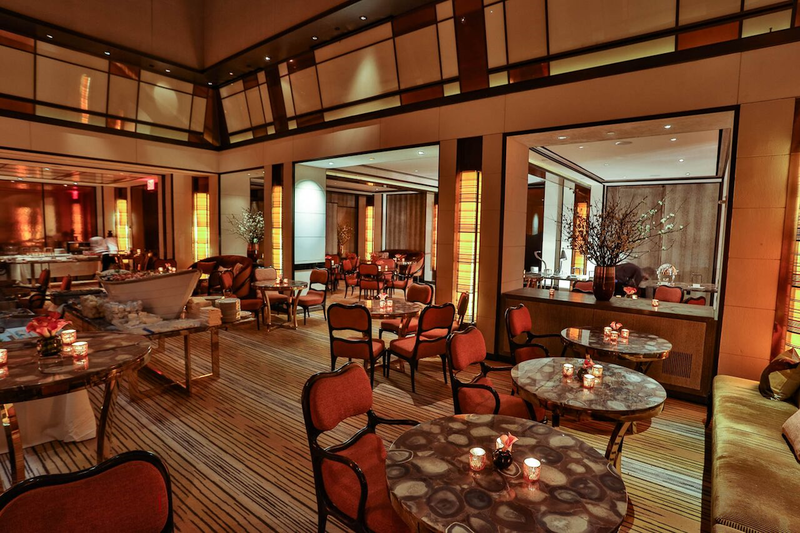 The Valentine’s Day premium tasting menu will highlight dishes like red chili-seared Wagyu beef. Make a reservation at DaDong. Bask in the glow. 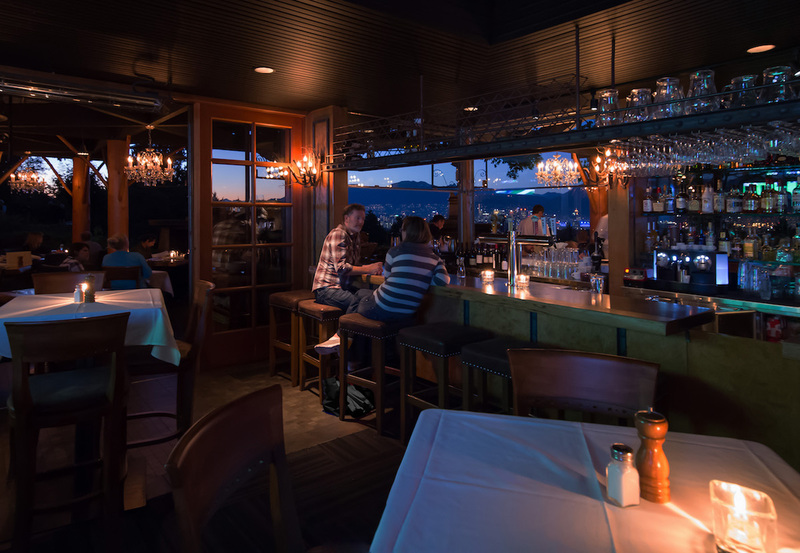 Your enchanting evening will include a three-course meal with dishes like phyllo-wrapped duck confit with poached pears, Niman Ranch 5-ounce filet, and a butter-poached lobster tail. Sweet ending: the raspberry macaron napoleon. The dinner is also served February 15. Make a reservation at 18 Oaks. The posh South of Fifth neighborhood is home to this chic Italian restaurant, done up with couches, colorful pillows, and wooden tables. And each table is dotted with lanky, mood-setting candles. 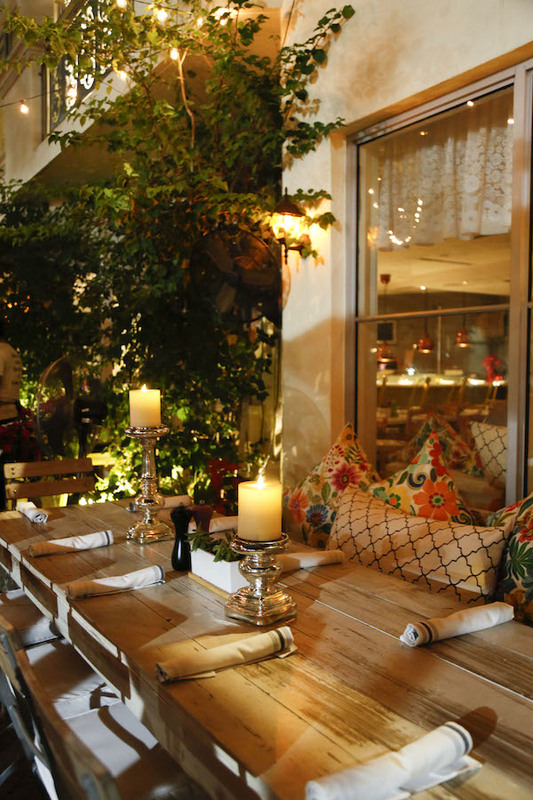 There’s an outdoor seating area, too, yes, also with those tall candles. Celebrating Galentine’s Day? The #girlpower gourmet pizzas are popular — the Gabriela includes smoked salmon, sesame seeds, avocado cream sauce, lemon zest, and dill. Make a reservation at CALL ME GABY. 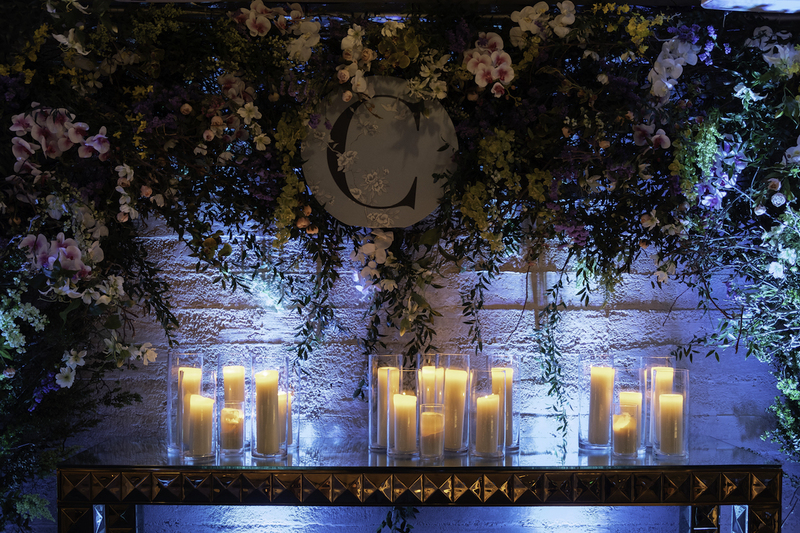 The setting is dreamy — a Dupont Circle converted carriageway and carriage house draped in mood lighting lanterns that light the path from the street to the enclosed gateway and candles that light up the bar and table tops. Bowers of vines are lit by twinkling lights inside the carriage house — and more candles flicker there, too. Dig into shareable Mediterranean, tapas-style plates and family-sized platters, too. Make a reservation at Iron Gate. The candles will sparkle on Valentine’s Day and the signature dessert for the evening, Marie Antoinette’s Head–Let Them Eat Cake, will spark interest. A towering cherry red cotton candy pompadour struck with Cupid’s arrow and served with a decadent vanilla panna cotta, Gianduja brownie, caramelized banana cream, and a chantilly bananas foster “shake” for two topped with homemade “cherub” chocolates. Smooch. 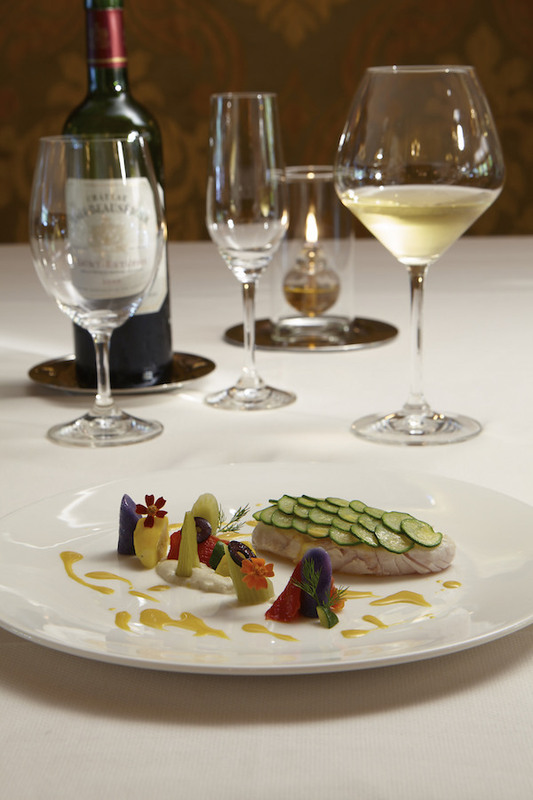 Make a reservation at Barton G. The Restaurant. Fondue and flamenco, a romantic pairing. A choice of 20-plus fondues is served in an intimate wine cellar setting with private booths, romantic candles, and fondue pot flame flicker. Live flamenco and classical guitarists serenade diners — many of who pop the question. In fact, more than 16,683 engagements have happened here — and 164,357 first dates, too. Put a ring on it. Make a reservation at Geja’s Café. 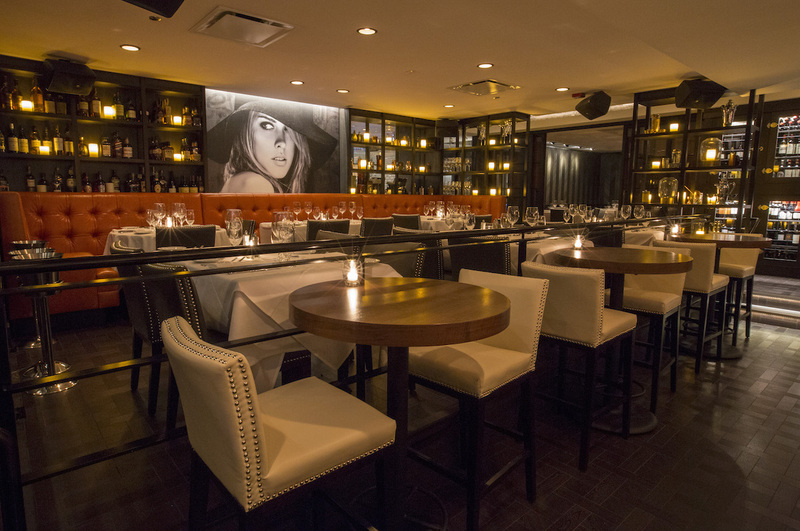 There’s a secret dining room for two in this West Village rendezvous spot. It’s called the Pink Lady Room and is dolled up with eccentric wallpaper and a long-lit candle in stainless steel holder. There’s also a retro telephone with a direct line to the bartender for another pour of Champy. A seven-course tasting menu promises to seduce (one traditional, one vegan, individualized tasting menus served together, side by side. Awww!). Make a reservation at Bell Book & Candle. An al fresco dinner by candlelight in a private cabana is a romance shout-out. The four-course candlelight cabana table for two menu features yellowfin tuna crudo, surf and turf (prime filet mignon and diver scallops), and passion fruit and dark chocolate mousse cake with berry coulis. Romance the night away with a glass of Perrier-Jouët and soak in those intoxicating Pacific Ocean views. 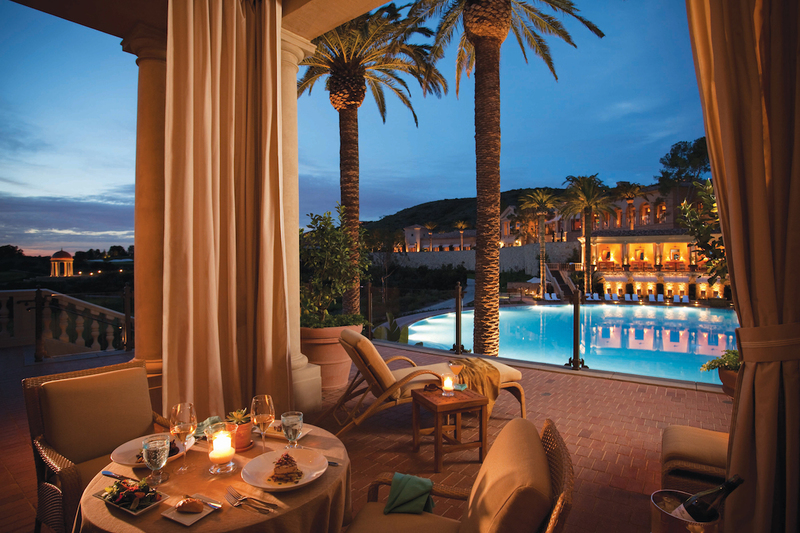 Make a reservation at Coliseum Pool & Grill-The Resort at Pelican Hill. 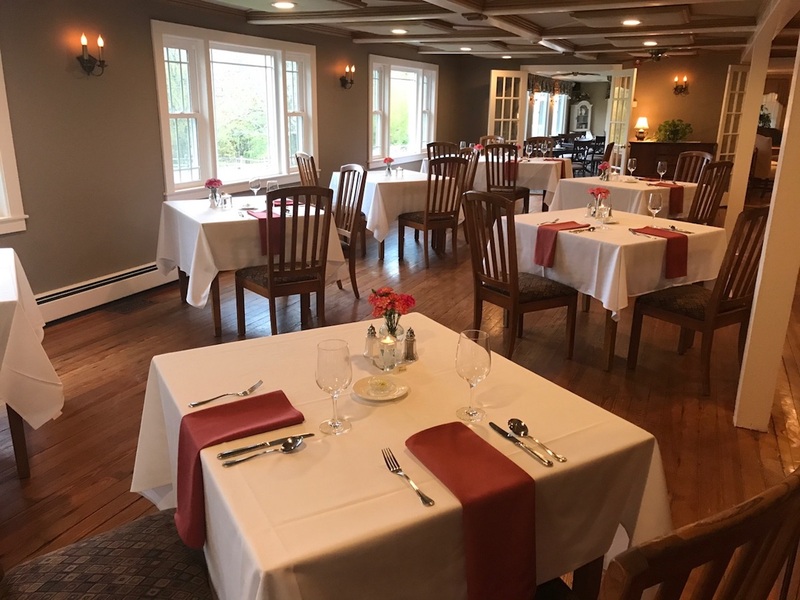 A romantic New England inn is the backdrop for the intimate candlelight dinner with candles on the tables and wall sconces as candle reproductions. The five-course dinner is sourced from the butcher, the ocean, and the fields and includes dishes like duck breast from Maple Creek Farm, Nova Scotia salmon, and buttercup squash from Edge Water Farm. Make a reservation at Oak & Grain at Inn at Pleasant Lake. A doting three-course dinner for two in this winter wonderland chalet should be on every ski-lovers’ romantic bucket list. 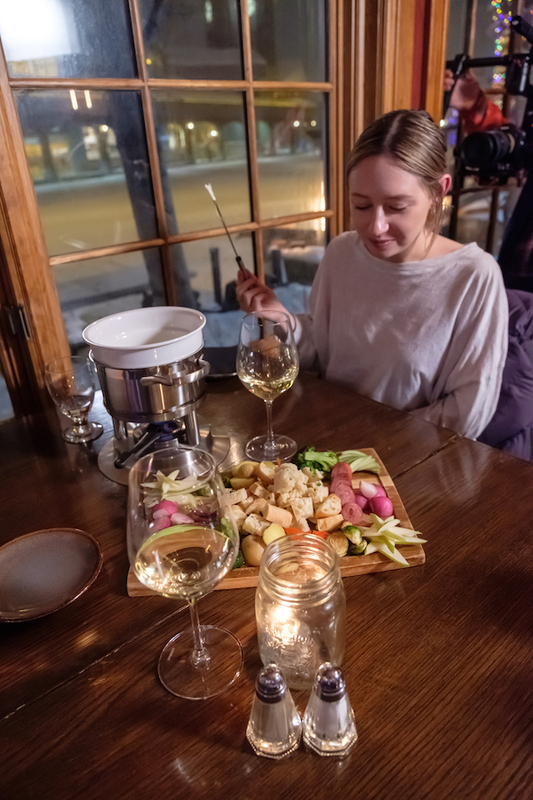 Start your amorous evening with a glass of locally-produced wine and culminate your meal with sweet dips into the big white alpine noir chocolate fondue–in the glow of candles, a roaring fireplace, and warm hospitality. Make a reservation at The Woods at Big White Ski Resort. 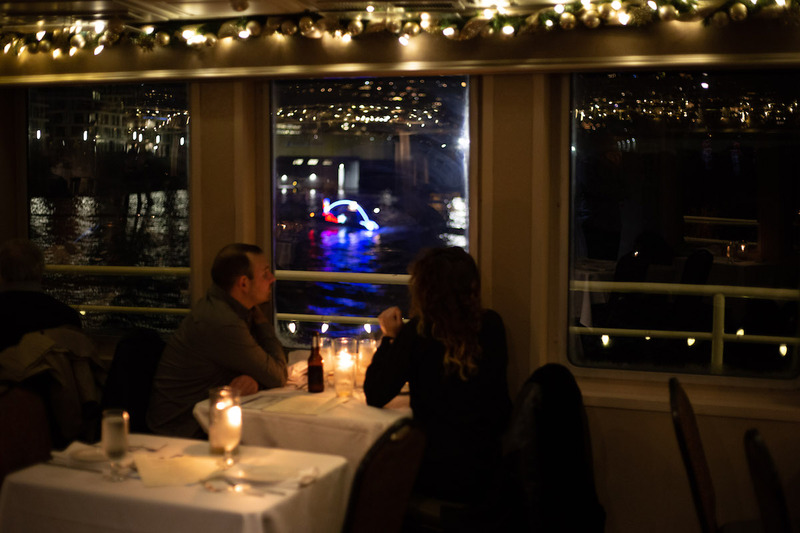 One if by land, two if by sea…set sail on this candlelit cruise along the Willamette River, the twinkling lights of Portland skyline winking as you go along. A four-course dinner is served, live music is played, and a Champagne toast awaits. 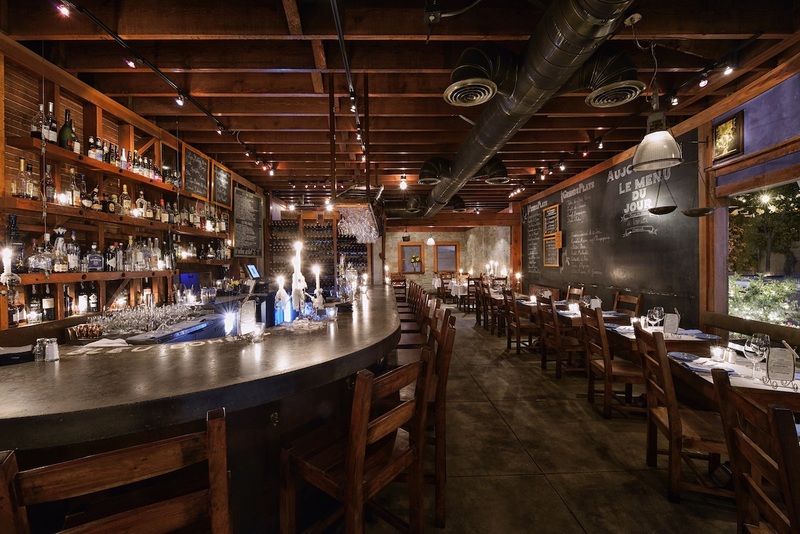 Make a reservation at Portland Spirit. What are your picks for restaurants with candlelight dining? Tell us here or over on Facebook, Instagram, Pinterest, or Twitter. And, remember to snap + share your #dishpics with us on Instagram for a chance to win in our weekly giveaway. Photo credits: Martin Mann (Bleu Boheme); Pelican Hill (Coliseum); Scott Suchman (Iron Gate); Sean O’Brien (Jovanina’s); Jumping Rocks (Oak & Grain); Sera Petras Photography (Zynodoa).